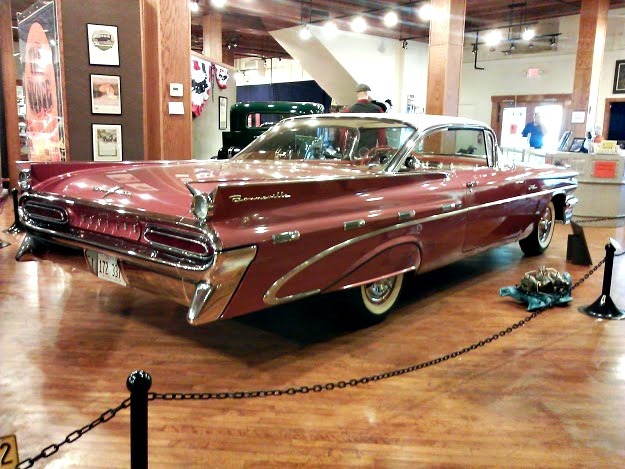 Last summer, we took a road trip out to Pontiac, Illinois, which is a HUB of Route 66 attractions along the old route. 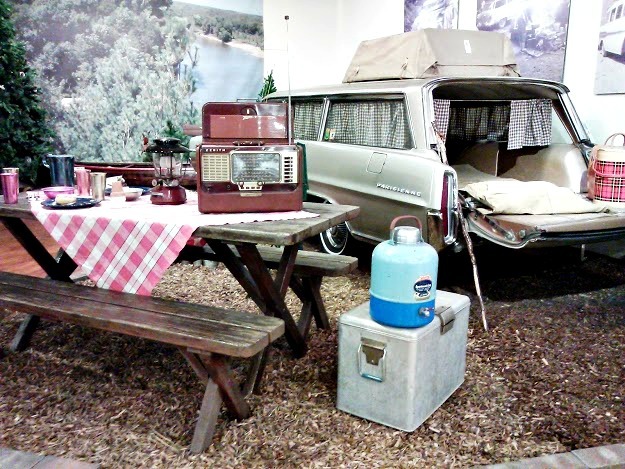 Coming up soon I’ll share a short video with a snap shot of the town of Pontiac and it’s Route 66 glory; however, in the meantime, one of our stops was at the Pontiac-Oakland Museum. 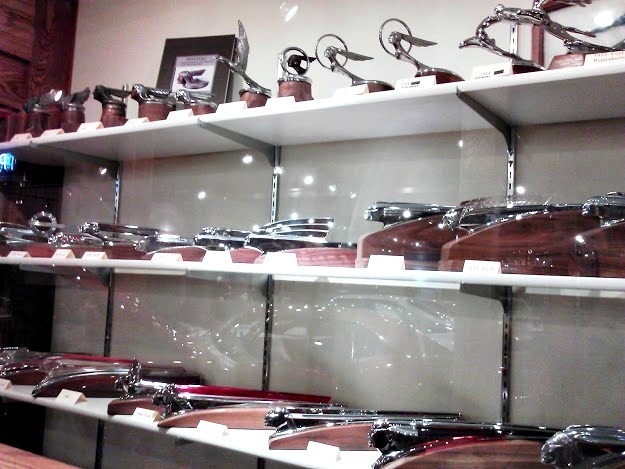 Although that’s it’s official name, many people refer to it as the Pontiac Car Museum because basically it’s full to the brim with vintage Pontiac automobiles, Pontiac memorabilia and almost anything Pontiac related that you can get your hands on. Touring the Route 66 attractions in Pontiac was rather inexpensive, as so many of the attraction are free. 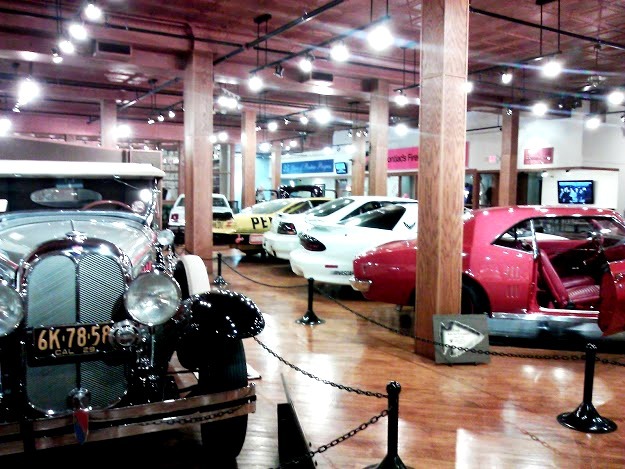 The Pontiac Car Museum included, although donations are accepted gratuitously at the entrance. 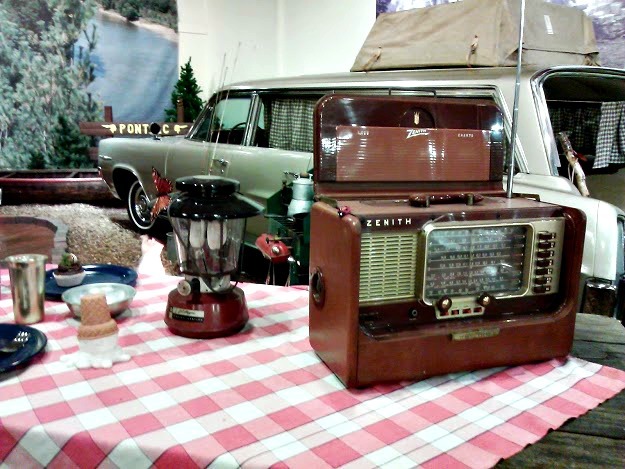 Cars aside the vintage memorabilia was well worth the view. Could you ever imagine eating off these turquoise plates, or drinking from those coral pink glasses without thinking that they’d be collectors items one day? 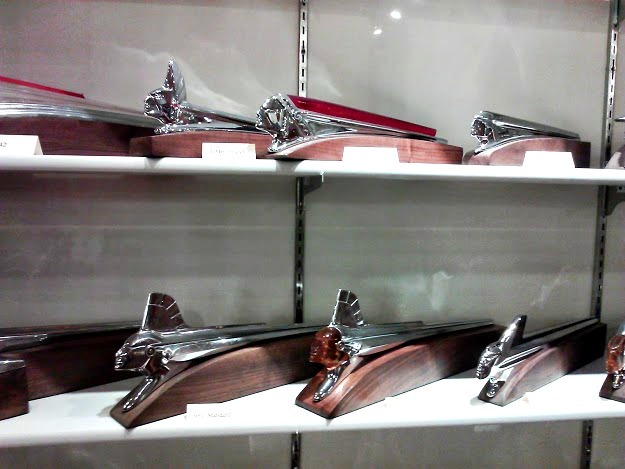 I’m pretty sure this case held every hood ornament ever made for the Pontiac automobile. The sleekness and detail are remarkable. The just don’t make things like they used to, do they? 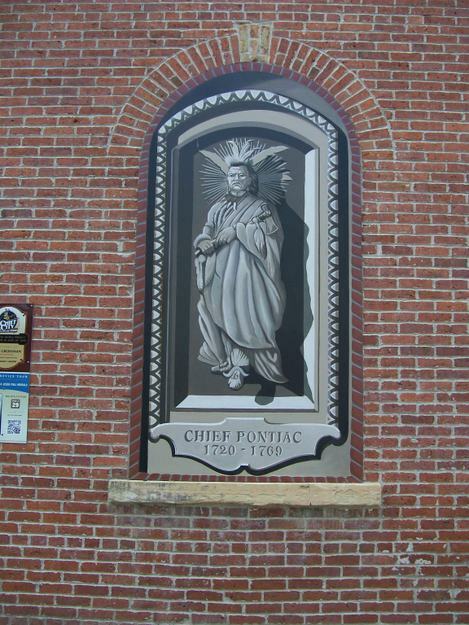 The Pontiac automobile name actually started out as the Pontiac Buggy Company which was named after this guy, Chief Pontiac of the Ottawa tribe. He was known to be quite rebellious against the British occupation of the Great Lakes area back in the 1700’s. The town of Pontiac, Illinois itself was named after him as well. I guess deep down, everybody loves a rebel. 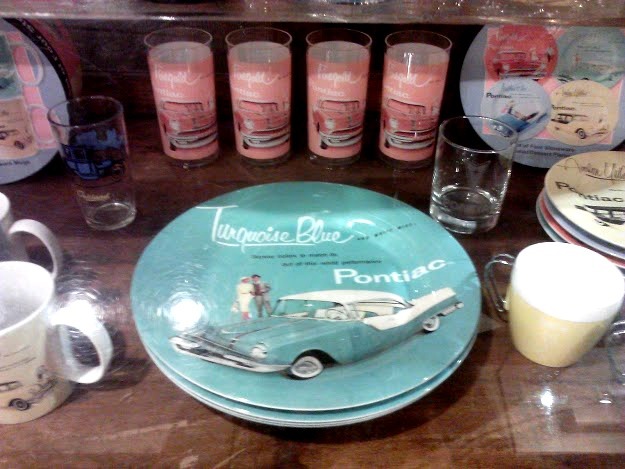 (Back inside the museum) There were vintage beauties from every era of the Pontiac automobile reign. I honestly couldn’t decide which decade I would like to be zapped back to, or which car was my favorite. Then I saw the Parisienne, and I knew. Perhaps it was the picnic motif, the gingham curtains, or it could have been the fancy French name. Although I almost changed my mind upon setting my eyes on this pink Bonneville. The car names alone represent an era of days gone by. 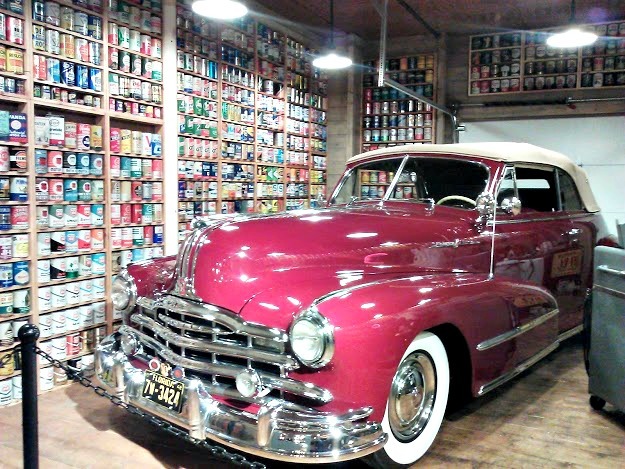 You can see much more about The Pontiac-Oakland museum, here. Looks like an amazing place! My dad and brother would love this tour being big chevy fans! Great pics Amy! Great photos, thanks for sharing this! This type of place is right up my alley. I have owned 3 Pontiacs in my life, they were great cars. I’m still waiting for one type of them (the G8) to get old enough for me to afford one! My dad restores vintage cars. He would love this place! My dad’s in a wheelchair.. and still manages to get the job done. Oooh amazing I love vintage cars, used to have one but sadly had to get rid of it. Thanks for sharing its on my wish list if I ever making it over.